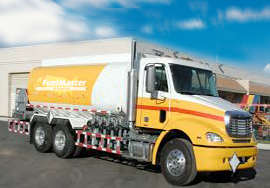 FuelMaster owns and operates a modern fleet of trucks to deliver fuel in the Midwest region. We haul Diesel fuel, Aviation fuel, gasoline & ethanol. FuelMaster is an established transport solution provider in the bulk fuel industry. FuelMaster transport uses the latest management software to manage its’ inventory levels and delivery schedules at optimum levels. FuelMaster customers get the most efficient service in addition to BOL/PO tracking, load offering, and more. FuelMaster offers a very flexible delivery schedule that fits into their Customer’s specific needs. We will do whatever it takes to keep our customer happy. FuelMaster is a law abiding business entity. We are proud of our ethical practices and intend to continue this way to build and retain goodwill in the industry.